Appliance Repair Edison is a local appliance service company proudly providing dryer repair in Edison, NJ. We are extremely passionate about our trade and dedicated to ensuring you receive the quality results you deserve. Our experts love fixing appliances and we excel at servicing all kinds of dryers. 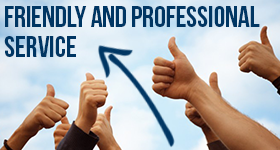 We guarantee that you will be completely satisfied with the work we provide. You can count on us to arrive at the scheduled time prepared to get your unit up and running. We have the experience and good old fashioned know-how to deliver excellence. Our dryer repair team will work on the top load dryer or any front load washer and dryer as well. We store a good selection of quality replacement components in our work vans because we want to be in a better position to provide you with the ultimate service experience. Our van is stocked with dryer belts of all sizes, heating elements, switches, and motors too. We use state of the art tools and equipment to provide the highest standards of excellence for your appliance. No one provides the quality care for your dryer like the experts at Appliance Repair Edison. We provide detailed dryer installation service at a real nice price. Our specialists will connect your unit to the power source and to the dryer vent. It is suggested that a professional do this job to ensure there are no errors that will cause repair problems down the road. Our dryer service also includes preventive maintenance options. We will make sure your unit runs smoothly and we will catch potential problems before they get worse. We provide friendly service with a smile every time. You will not find another appliance company that will work harder to guarantee your expectations are exceeded. Get in touch with Edison Appliance Repair for great service today.